The KONG Cross Knots are plush figures with a knotted rope on the inside. The cuddly toys also contain a squeaker and are available in various forms. The KONG Cross Knots are ideal cuddly toys for your dog. Thanks to the soft coat and knotted rope inside the toy, your dog will be thoroughly entertained by the KONG Cross Knots. The plush animals contain minimal stuffing apart from the rope. 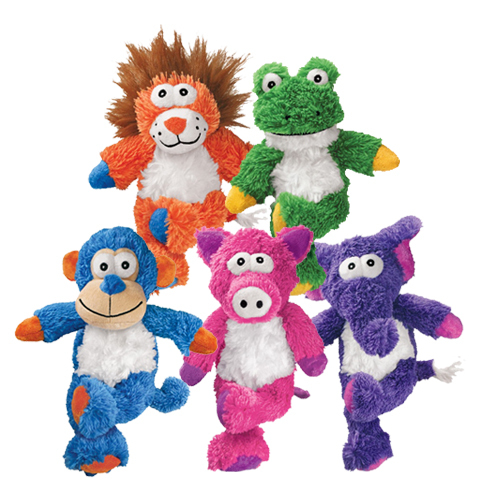 In addition, the toys contain a squeaker to stimulate your dog's play even more. Please note: The toys from KONG Cross Knots are not intended for long chew sessions. Have you used KONG Cross Knots before? Let us know what you think about this product.